Sooner or later everyone needs plasterers regardless of whether they live in the countryside or the city. Whenever any type of building is constructed or an office or house is erected, it will require the use of plaster and that plaster will need to be redone over the years. When this work needs to be done, then having a quality plasterer is very useful. If you live or work in Gold Coast or Brisbane you will find having this list of the 10 best plasterers in the area will ensure that you get reliable workmanship for your project. The Master Plasterers are the guys to call if you need a top quality plastering service from experienced plasterers. They can help whether you’re doing renovations, restorations or repairs. Give them a call if you want top quality workmanship at affordable prices. 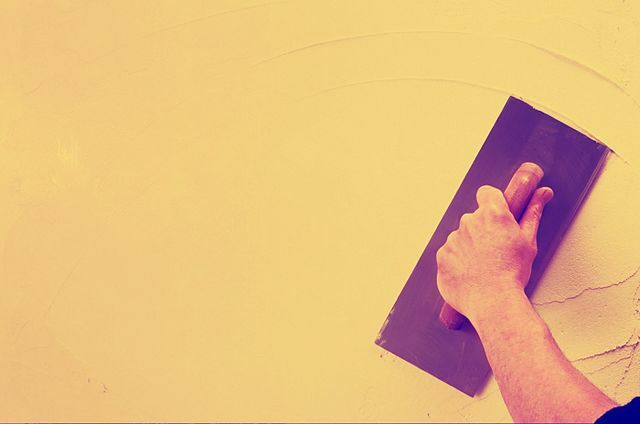 Big or small, this company can provide the plastering services that you need. Regardless of whether it’s just a matter of filling in some holes that are in the wall, or complete renovations, they can provide the quality workmanship you’re looking for. This interior plastering service is highly qualified and they specialize in domestic plastering renovations and repairs. They are fully insured and officially licensed to perform plastering services throughout Gold Coast. Additionally, they work in close association with other trades such as quality electrical and painting companies so that they can help in every aspect of your renovation. This company focuses on small jobs that others won’t do. They have 28 years of experience and are trade qualified and have extensive knowledge of the industry. They can also perform additional services such as painting, tilling, render repairs and of course plastering. They service all of Gold Coast. This is a commercial and residential electrical and air-con service that services all of Gold Coast and Brisbane. They are able to provide competitive pricing do in part to their relationship with clients and builders to perform any size project that you have. This is a master plasterer with a wealth of experience. They can provide a wide range a plastering service that includes new homes & renovations. They service the Gold Coast Area. This is a company that delivers great work for reasonable prices and is fully registered in Brisbane. If you need great carpentry work and someone who is going to pay attention to the details, then this is the company you can trust. Their base of operations is in North Brisbane and they are European trained and have decades of experience as qualified carpenters. They are budget-conscious and can offer a number of solutions for your building needs and these include repairs, extensions, and renovations. Rythm Interior specializes in plastering and focuses mostly on shop fit-outs as well as commercial and residential work. They accept jobs both big and small. They are happy to give a competitive free quote for anyone in the Brisbane area. They are verified plasterers and are insured and certified for those in Brisbane. This company mostly provides smaller paint and plastering jobs. They can perform complete repainting of homes. They understand what the customer wants before doing the job. They work with quality suppliers such as Dulux, Boral, and Taubmans. They continue the job until it’s done right and until it meets their high standards. They serve those in the Brisbane area. Leader House brings affordable pricing to quality workmanship. They have over 20 years experience and they focus their attention on giving quality work to homeowners and their renovations. Some of the services provided include house washing and interior and exterior painting for residential and commercial buildings. They’ll be glad to speak to you by phone and to give you a quote. This is a fit-out specialist. They perform both residential and commercial work. They offer services that include building walls, patching holes, and plastering services. They have over 17 years of experience for those in the Gold Coast. They offer fair prices and quality work. You can call them and get an immediate quote.